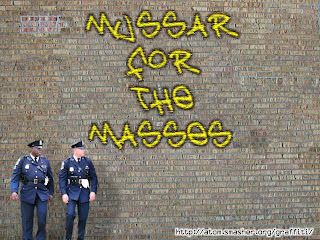 Why does mussar have such bad street cred? I don’t get. I know, this isn’t the best way to start of a blog post, but really, I don’t get it. I am not a rabbi, academic scholar, historian, or an author of a book on the Mussar movement. I am simply just writing down how I see things. Others, who are much more learned than I or more intellectual might have a totally different spin on this. Over the years and even as recent as last week, I’ve shmoozed with people about learning mussar and why I feel it has “worked” for me. Those who have had a yeshiva high school background tend to have a very negative view of mussar or, as someone recently told me, feel that it’s meant to be studied on an individual basis and not as part of a group. When I then ask these people about their opinion of mussar, it’s almost exclusively regulated to them being made to feel guilty, not good enough, or like they are “nothing”. When suggesting to start a mussar va’ad (group dedicated to working on middos on a regular basis), the interest is slim to none. Of course there are plenty more, but these represent the roots of some of the more “major” yeshivos in America. These Rabbis were all products of Slobodka, where the concept of Gadlus haAdam, the greatness of man, was the modus operandi of the yeshiva. 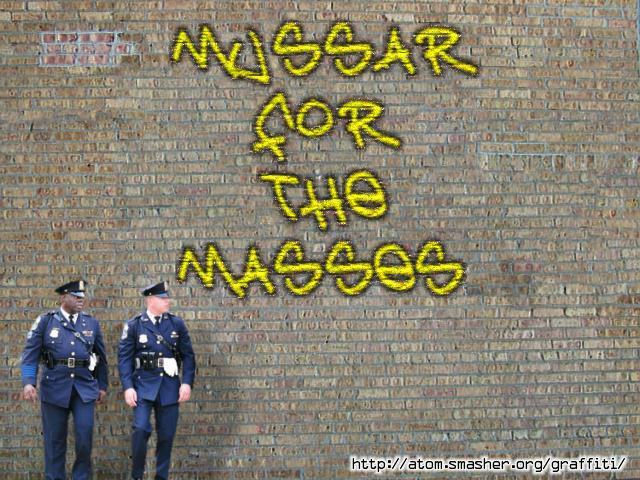 Yet, time after time, mussar gets a bad rap. Tochacha (rebuke) is mussar, but Mussar is not just rebuke, sort of like a square is a rhombus, but a rhombus isn’t… a square. It could be argued that for some reason in America the “Novardok” derech didn’t really translate over in the United States. If the thrust of Slobodka was to build one up and show them their own inner greatness, then how did Mussar become so negative? I really don’t know. I have an idea, but it’s based on me being an outsider. I was zoche to spend a number of years learning in a yeshiva environment, post-high school, but I didn’t “go through the system”. Teenagers, by nature, rebel against authority. Even the frummest of the frum rebels in some way. It might be by taking upon chumros or by speeding or extending a shemoneh esray, but there’s some type of rebellion against the status quo going on. I think most adults who when through the “system” probably got their mussar exposure at the wrong time. Had they been taught and exposed during elementary school to the concept that there’s a desire to grow towards greatness and perfecting middos, then the “average” adult might have a different view towards mussar (and if you you don’t read this blog regularly, by “mussar” I mean any learning that makes you a better Jew). However, if you were to see a flyer in you shul that stated, “How can you not afford to spend 15 minutes working on making yourself a better person?”, then you might give it a thought. It’s not just the approach, it’s the timing. There’s no quick solution. No magic pill that will give you and your children what’s termed “good middos”. It’s simply a willingness to accept a shift in effort. I could easily spend two hours “beating” the levels on Star Wars Lego for Wii, but to sit for two hours and work on patience takes, well patience. Working on who we are just doesn’t seem like it’s on the radar for the general observant public these days. This entry was posted in Baalei Mussar, Chofetz Chaim, Hutner, Mussar on February 28, 2011 by Neil Harris. After weeks of training, a few late nights and the realization that I’m not as young as I use to be, I biked with Chai Cyclists as part of Chicago’s Bike the Drive on Sunday. I started biking at 5:40 am and finished at 9:15 am. The weather was perfect. It was hazy (the sun didn’t really start shining until 9:00 am) and 66 degrees when I started. Unlike last year, there was very little wind, which made things great. I was, thanks to my hours and miles of training, able to bike at a rather steady pace, stopping every every 15 miles to refill my water bottle with Crystal Light packets. Things were going well until the last 7.5 miles, then I began to get a little tired. OK, really tired. Of course, others were biking too and I knew that I was almost finished. I kept going, like a man on a mission, and finally made it to the end. At Grant Park, where the event ended, we were greeted at the Chai Lifeline tent by their staff and a nice breakfast of cream cheese sandwiches, pastries and orange juice (I was too exhausted to eat, but the orange juice hit the spot). Also, at 8:00 am I was greeted at Buckingham Fountain by my brother, who had come from out of town for the event and to cheer me on. After the ride my friend that I’ve been training with and I (along with my brother) went back out our home where we were given the welcome of a lifetime. My friend’s had come over and all of our kids had lined up in the front yard and made a paper-link-chain for us to cross. My daughter in second grade had even made a picture for me of a trophy and written “#1” on it. My wife, who is my biggest supporter, had made an awesome celebratory breakfast of champions that included: bagels, lox, cream cheese, scrambled eggs, whole wheat pancakes and coffee. I mostly drank and had a bagel later in the afternoon. After resting for some of the day, we all drove to Six Flags, since the kids didn’t have school on Memorial Day, and hung out for the evening. It was a great way to end perfect day. I biked a total of 45 miles (I tied with only one other person for the the longest distance biked) and my sponsorship totaled over $2,800.00, which was the highest amount raised in Chai Lifeline’s Bike the Drive history…thanks to all of my sponsors. As I had previously written, I dedicated this year’s ride to the memory of my father, Al Harris a”h, who passed away in early November. He not only sponsored me, but was always amazed by my commitment to Biking the Drive and was very proud of my efforts both in terms of biking and also in attempting to help an important organization like Chai Lifeline. I know he would have been very proud of what was accomplished on Sunday. For those of you who sponsored and encouraged me, thank you!!! This entry was posted in Bike the Drive, Chicago, coffee, Dad, Hutner, mp3 shiurim, personal on June 2, 2010 by Neil Harris. 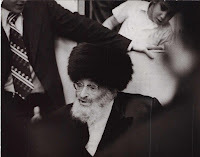 Matzav has reposted an older article from the Yated about the life and impact of Rav Yitzchok Hutner zt”l on of several Slabdoka talmidim who change the yeshiva landscape in America. Jewish Action also had a great article a number of year ago, here. Rabbi Hillel Goldberg writes in his book Between Berlin and Slobodka that R Hutner was one of the first Roshei Yeshiva in America to start giving shiurim in English. I think this is a valuable lesson. An effective teacher is one that uses language in a way that student can understand. It doesn’t mean that you have to know the most current slang or newest entry in the Urban Dictionary, but the message you give over has to in a form that can be received. You can feel free to read other post of mine that site Rav Hutner here. This entry was posted in Hutner, yahrzeit on December 7, 2009 by Neil Harris. 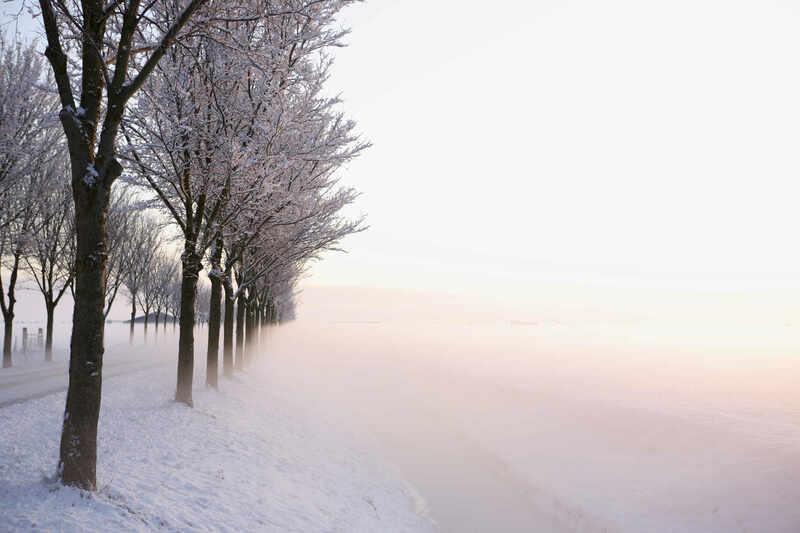 This entry was posted in Hutner on December 22, 2008 by Neil Harris. I’ve always found in interesting that one can fulfill the mitzvah of shaloch manos with two different types of food that fall under the same bracha (like a can of Coke and some prepared salmon). From a bracha point a view the foods are the same, yet have very different characteristics. Each person is also, on the surface, similar, yet we each have different personalities. Rabbi Stolper points out later that in Megillas Esther (9:23) we have the phrase, “ve’kubale haYehudim la’asos, And the Jews undertook to continue that which they had initally undertaken.” Again, the word ve’kibale is written in the singular. We were again an Am Echad when we reaccepted the Torah in the days of Purim. This concept of being unified when being given the Torah is so important. IMHO, when it comes to Purim we want to emulate Hashem by giving, as this is one of the most direct ways to attach to Hashem (see Rav Dessler’s Kuntres HaChessed, or Discourse on Loving Kindness). “Man has been granted this sublime power of giving, enabling him too be merciful, to bestow happiness, to give of himself.” (Strive For Truth! Volume I, page 119). This idea of Rav Dessler’s has recently been “given over” and expanded by the author the Bilvavi Mishkan Evneh in the translation of video seven, here (link thanks to Dixie Yid). Ultimately, by giving to another (especially to someone we are not so close with) we are making a connection. We, in essence are looking past the differences that we have on the surface, no matter if those differences have to do with where we daven, if we daven, what we wear on our heads, or where we send our precious children to get their education. While it’s important to maintain one’s uniqueness within the collective whole, the bigger picture is that it doesn’t matter if it’s a Coke or some salmon we all fall into the same category, that being a Yiddishe Neshama. A Freilichen Purim to you! This entry was posted in Dessler, Hutner, Yom Tovim on March 20, 2008 by Neil Harris. Rashi on the pasuk:And it will be, when he sits [upon his royal throne]. If he does this, he merits that his kingdom will remain established. — [Sifrei] two copies of this Torah-. Heb. מִשְׁנֵה הַתּוֹרָה i.e., two Torah scrolls, one that is placed in his treasury, and the other that comes and goes with him (San. 21b). I’ve always (well, since I first learned the Rashi) found this Rashi to be great instruction for me (even when I find myself occasionally slipping into Deceptijew mode). The idea that the same Torah a King keeps in his treasury is identical to the one he keeps with him at all other times is a powerful idea. Both our public and private life as a Torah observant Jew needs to mesh. Rav Hutner was once asked about the idea of a Jew living in two worlds (secular and religious). His answer was that if a person has an apartment in one area of town and another apartment in another area of town, that is living two lives. If, however, you have have a home with two different room that you spend equal time in, you are still in the same world. I’d say that if you are hanging out in your front or back yard, that would count also. I admit, I was going to save this Rav Hutner idea for a post dealing with “Bloggers as Superheroes” which was going to discuss my views on Anonymous Bloggers vs those who blog under their names (sort of a “who is a greater hero…Spiderman vs. the Fantastic Four). As I sit here I realize that the truth is that any blogger I’ve communicated with via comments or email that uses a ‘secret identity’ has always been a mentsch. On blog or off blog, at home or at work, in shul or in line to buy diapers, greenbeans, and kishka the ideal is to hold ourselves to the same Torah wherever we are. This entry was posted in Hutner, lessons, parsha, personal on August 17, 2007 by Neil Harris. A few months ago marked the 80th yartzeit of Rav Nosson Tzvi Finkel, the Alter of Slabodka. I was reading a publication emailed to me from The Alter on the Parsha and at the end was a list of the major talmidim of the Alter and where they went on to teach. As I read the list I noticed that three Slabodka students ended up in Beis HaMidrash LaTorah (Hebrew Theological College) here in the Chicago area. Recently I happened to be working as a mashgiach at a chasunah, and I spoke with a someone who had received semicha from HTC. I casually asked him about one of the names listed: Rav Selig Starr, z’tl. 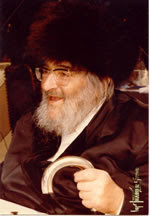 Rav Starr was , “A walking adverisement for Slabodka”. He was famous for saying, “You should know what you know and know what you don’t know”. Rav Starr once said in shiur that while in Slabodka he was part of a chabura lead by the Alter, that included Rabbis: Ruderman, Hutner, Kamenetsky, and Kotler. The Alter once told them “I am supposed to teach you mussar. What can I teach you? The talmidim answered that you are chiav misah. Again, the talmidim answered that you are chiav misah. The Alter then said, “You are the future of klal Yisroel. You will be the Rabbanim and Roshei Yeshiva of the next generation. Never ever kill anyone with a Sefer Torah.” With that the chabura ended. I think the approach the Alter was trying to teach was the reason that Slabodka infuenced the creation and expansion of successful Yeshivas in America. Torah when properly taught is meant to bring someone up (part of the Slabodka philosophy). A sensitivity to the individual and they way we teach Torah to children is the yesod of successful chinuch, in my opinion. For more information about Rav Starr, including his famous “Ten Commandments” click here. This entry was posted in Chicago, Gedolim, Hutner, Mussar, Slabodka, stories on April 19, 2007 by Neil Harris. On morning Rav Hutner took several of his tamidim from Chaim Berlin in his car (with his driver) for a ride to Prospect Park (Brooklyn) on a crisp October day. They got out of the car and walked to the pond in the middle of the park. Rav Hutner instructed the group of 3 bochrim to look at the lake and pointed out that you could see the bottom of the pond. “This mind of the Chazon Ish is as clear as this lake”, Rav Hutner said. Then they returned to Chaim Berlin. Rav Hutner then said, “What makes you think that I don’t want to sit with my wife? Remember this: No one or nothing ever comes between a husband and a wife”. This entry was posted in Avodas Hashem, Gedolim, Hutner, stories, yahrzeit, Yom Tovim on December 13, 2006 by Neil Harris. My wife and I have noticed over the past few weeks that little baby girl Uberdox has a great smile, k’ayin hara. We don’t remember the other two kids smiling so much at such a young age. I must admit, as a parent, it’s a wonderful feeling to know that you can hold a little baby in your arms, make funny noises and faces and get a beautiful smile that lights up a room. It is true nachas. This got me thinking about how I show joy (or don’t appreciate the tov) towards Hashem. My creator is constantly making things happen in hope of invoking a smile from me. I’ve heard the shmuzzes and read the seforim about how “happiness is a state of mind”. In fact, I heard on a tape by Rabbi Pesach Krohn that according to Rav Hutner, the eye interprets how we see, the ears interpret what we hear, the nose interprets what we smell (you get the idea). Rav Hunter asks, “What does the mind interpret? It senses happiness”. I know how happy I feel when I make the newest member of our family smile. I can only guess that this parallels how Hashem must feel when I chose to smile at all the brachos that are constantly being showered upon me. I need to take a minute and smile more often. Still hoping for more comments on the post below. This entry was posted in children, Gedolim, Hutner, personal on December 4, 2006 by Neil Harris.